This assignment requires you to develop a simple digital animation using Adobe Flash. Ten (10) images of digits (0.jpg to 9.jpg). These images will be used for your student number in the animation specified below. An Ass1_Sample.swf file showing a sort of animation. However, please note that you need to note that the animation in the sample file is based on a very different specification; so, you are required to follow the specification given below. An image of yourself – it can be whatever image you like (eg. You on holiday, at the beach, at university, etc), but must include yourself. This image will be used as a background image (in step a and b below). An image ofyour home town. This image will be used as a background image too (in stepsb, c, d and e below). The images of the digits provided to make up your student number (in step c below). An image (different to that used for steps a & b) of yourself that you can select your head (from neck up) and cut it out to create a new image. Your image must be neatly cut out from its original photo.When you cut yourself out and save the image, the background should be fully transparent. You will have to save it in a correct file format for it to be successfully shown against the background in Flash. (in step f below). The animation must be 800 pixels wide by 600 pixels high, with a blue background (#0000FF) for the stage, and run at 15 frames per second. Each layer in your Flash file should be named appropriately. Each event must be displayed for a minimum of 2 seconds and a maximum of 3 seconds. For example, entering an animating image into the stage and leaving should take between 2 and 3 seconds. Each event should overlap with the previous event (Except for the first step (step a) where your own image fills the screen). Starting at step b, as one image leaves the screen, the next image should be entering the screensimultaneously. The animated sequences for this assignment must be tweened using the techniques shown in the lab classes (motion, shape and guide). Frame-by-frame animation will not be accepted. All number images used throughout this whole animation must fill the screen exactly with no overlap and perfectly fit the 800px by 600px stage area. Feel free to stretch and skew images to fit. Make sure that your text is using a font that is easily readable and if it overlaps the self-image picture make sure that it is highly distinguishable against the image. The animation should start with the image of yourself (on-screen); it needs to be initiated from a locked width/height ratio (e.g. width of 50px) and scaling up to fill the entire window (800px by 600px) at the end of the first three seconds. The image of yourself needs to be fading out and be replaced by fading in image of your hometown. This image needs to be static as the background for the point ‘c’ below. According to the sequence of the digits in your student number, each image of the digits provided needs to enter the stage from a different corner or edge (i.e., top, bottom, left, right, top-left, top-right, bottom-left or bottom-right) while the other image leaves from another corner of edge (i.e., top, bottom, left, right, top-left, top-right, bottom-left or bottom-right). Make sure you use different variety of positions for entering and leaving the stage. Transformations (skew / shrink / enlarge /etc). One of these above features must be incorporated for each digit. However, overall all of these features need to be demonstrated at least once in their animation. After animating the last digit of your student number, you need to use a text based representation (not images) of the digits in your student number in sequence ‘bounce’ across a path on the background image ofyour home town You must use motion guides, and clever positioning so that the digits appear to ‘interact’ with the background image (e.g. bouncing off & around objects). Be as inventive as you wish here but make sure that your numbers clearly show out opposed to the background image. Your numbers must be 50pt in size and can be of any readable font style. Your student numbers must travel across the guide one digit at a time. The animation should end with a screen showing the static cut-out photographic image of yourself in an appropriate position – on the left or right. This image must have been cut out neatly from the original photograph and only show yourself. You will have to use some form of transparency and save it in a correct file format for it to successfully show against the coloured background in Flash. This image must not occupy more than half of the screen. An acknowledgement of your lecturer & tutor. A motivational phrase (including an acknowledgement of the author). Image and credits should remain stationary on the screen for last 5 seconds. 0-3 seconds Animation starts with image of myself at a 50px width with aspect ratio locked. By three seconds it zooms in to fill the screen. 4-6 seconds The image of myself fades out, as the image of my hometown fades in. 7-9 seconds The hometown image remains on screen, as the image of my first digit in my student number “3” moves in from the top-right corner while performing a double clockwise rotation. Be as creative as possible and show off your Flash skills. 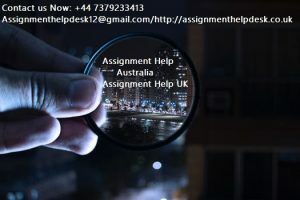 Submit a Word document which describes the steps which you followed in completing the features included within the additional assignment task. Think of this as creating a tutorial outlining step by step instructions of how toemploy the techniques you have chosen to produce the features in your animation (when describing the steps think of how a lab tutorial is written).In your document also outline how you solved any copyright issues that may have occurred; and any difficulties that you had in completing the assignment, how you overcame them and what lessons you have learnt that will make Assignment 02 easier for you to complete. Create a single zip file containing all of the files required for your submission (check requirements above). Submit this as a compiled zip file for Moodle submission. 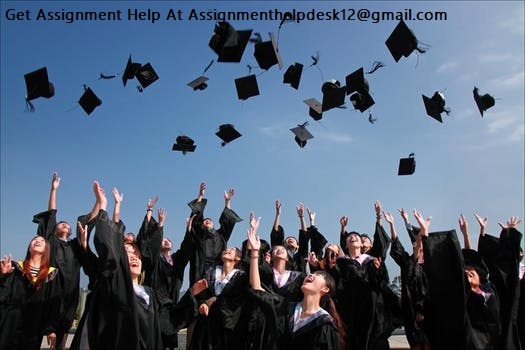 Assignments will be marked on the basis of fulfilment of the requirements, and the quality of the collage & animation. Refer to the Course Description for details of the policy on marking of late assignments. Any applications for extensions or special consideration should be made as early as possible, and in all cases prior to the deadline for submission. The marks distribution is explained on the next page.